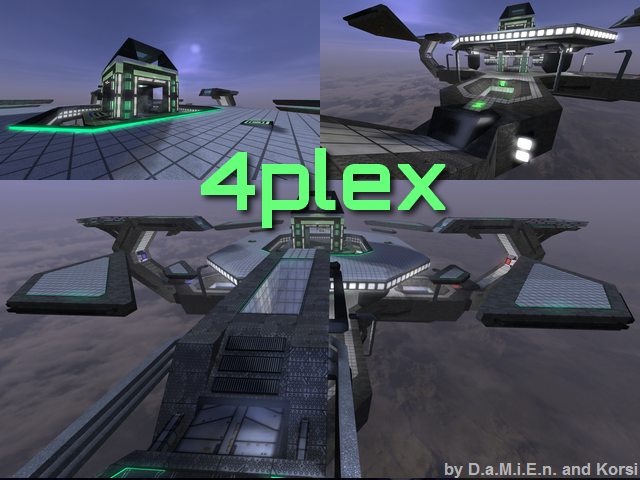 This medium sized floating level with futuristic design is meant especially for multi-team based games. Thanks to jumping pads leads way to upside through the warped geometry or through a tower in the middle from below, where is placed a rocket engine. This map is pretty open, which makes an "instagib" matches very intense. All modes are supported (except time-trial). This map went through an extensive reworking and improvement since its first, quite under-detailed version.